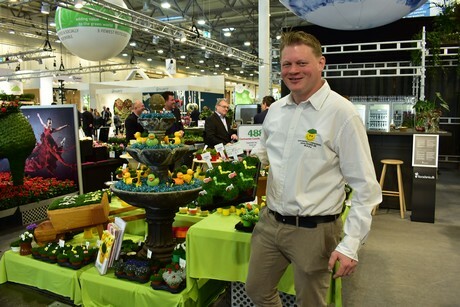 The IPM Essen started this morning. For four days, over 1,500 exhibitors will present their products and services at the Messe Essen in Essen, Germany. The aisles are crowded and the atmosphere seems to be vivid - even the growers, many of whom had a challenging 2018 with the cold spring and hot summer, are positive and looking forward to 2019. 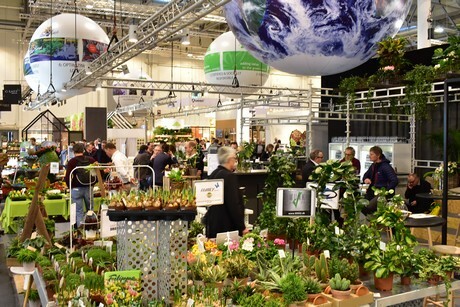 Also this year, the editorial teams of our floral and veggie newsletters, FloralDaily, BPNieuws, HortiDaily and Groentennieuws will be present to make a complete photo report of the show, which will be published on January 28. 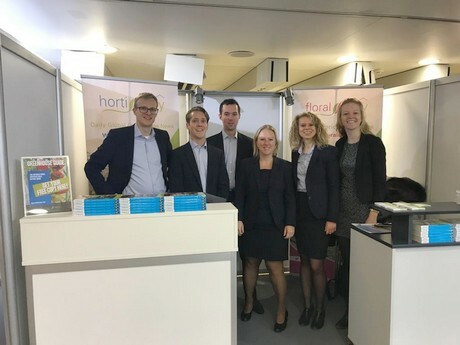 Besides that, we will also have a booth where you can pick up your free HortiDaily/FloralDaily Greenhouse Guide in the Foyer Grugahalle stand C19. Team of NIRP International. 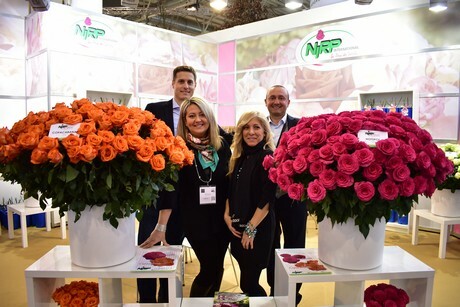 Copacabana (orange rose on the left) and Hotspot (pink rose on the right) take center stage at their booth. 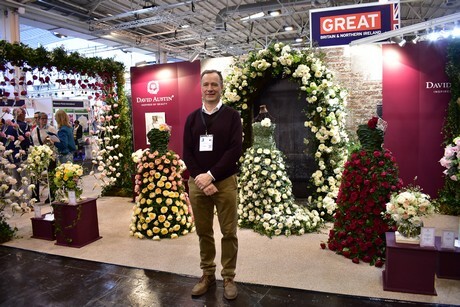 David Austin of David Austin Roses presenting cut roses for the first time at the IPM Essen.